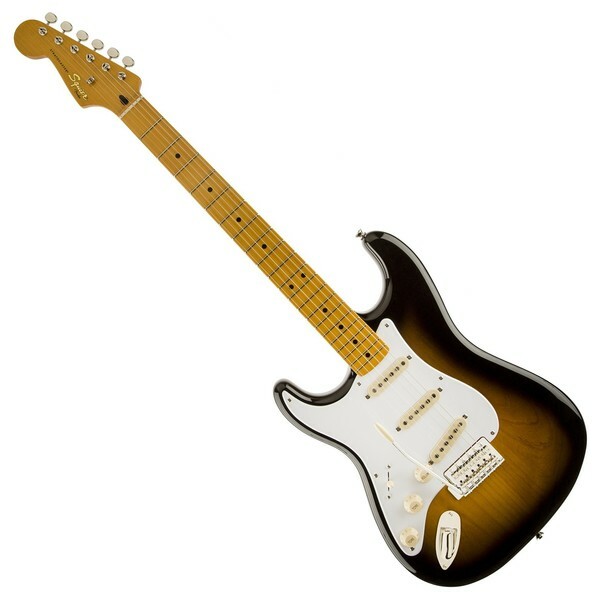 The Left Handed Squier by Fender Classic Vibe 50's Stratocaster, Sunburst provides the unmistakable tones and characteristics of the original '50s-era Fender guitars. 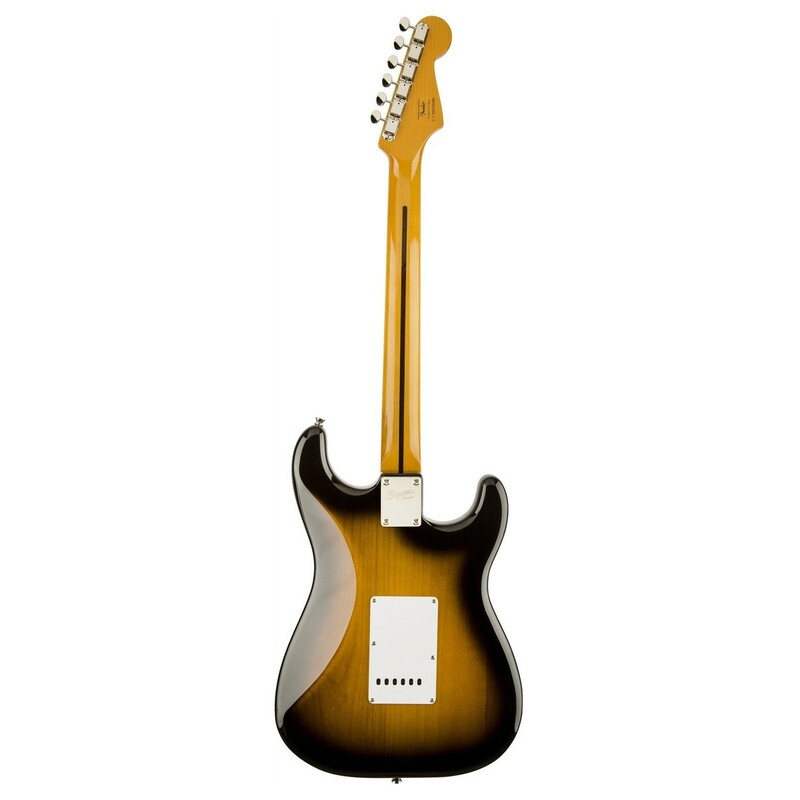 The Alder body delivers a classic Fender twangs, while the maple neck and fingerboard provide bright characteristics and a smooth playing feel. 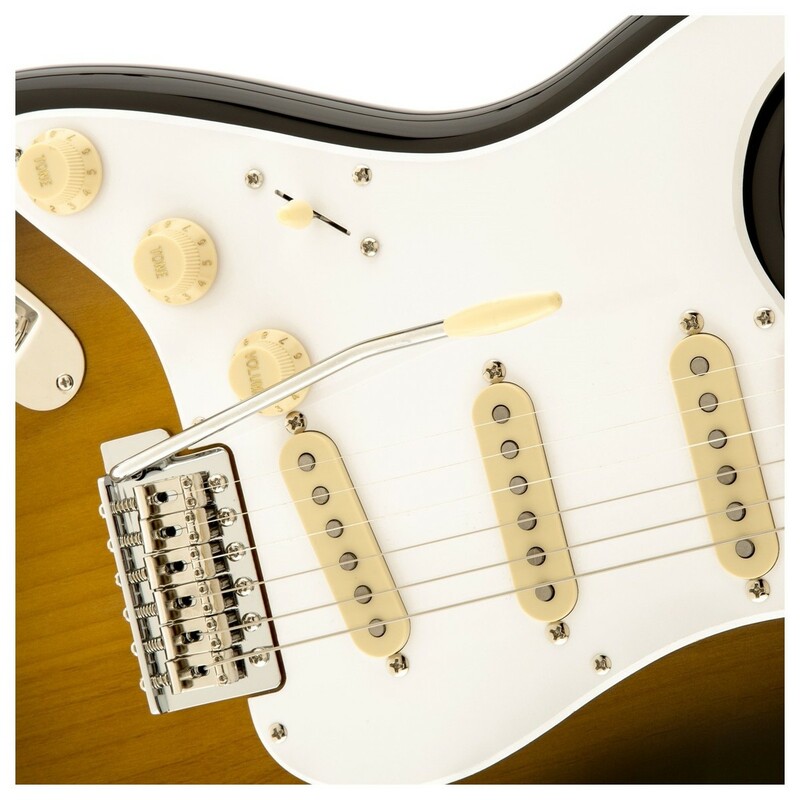 A set of custom vintage-style single-coil strat pickups deliver the Squier's authentic tone, producing bright, clear sound with a beautiful sustain, even in crunch mode. 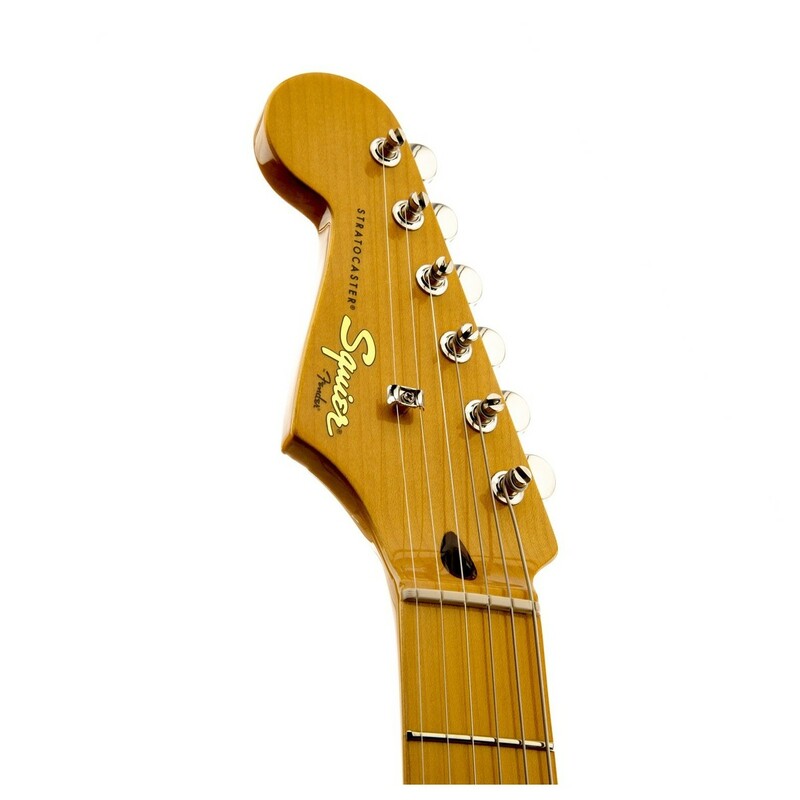 The Classic Vibe Stratocaster provides you with all the vintage 50's Squier tones, vibe, and finish, perfect for players on a budget who want a classic. The Classic Vibe 50's Strat features a shapely body crafted from solid alder, Combining resilience with impressive attack to provide a crisp, bright, midrange burst of tone. The lightweight body is extremely comfortable, making the guitar perfect for use on stage for lengthy periods. The classic 2-tone sunburst finish cements your position in the spotlight, and adds to the vintage vibe of the guitar. 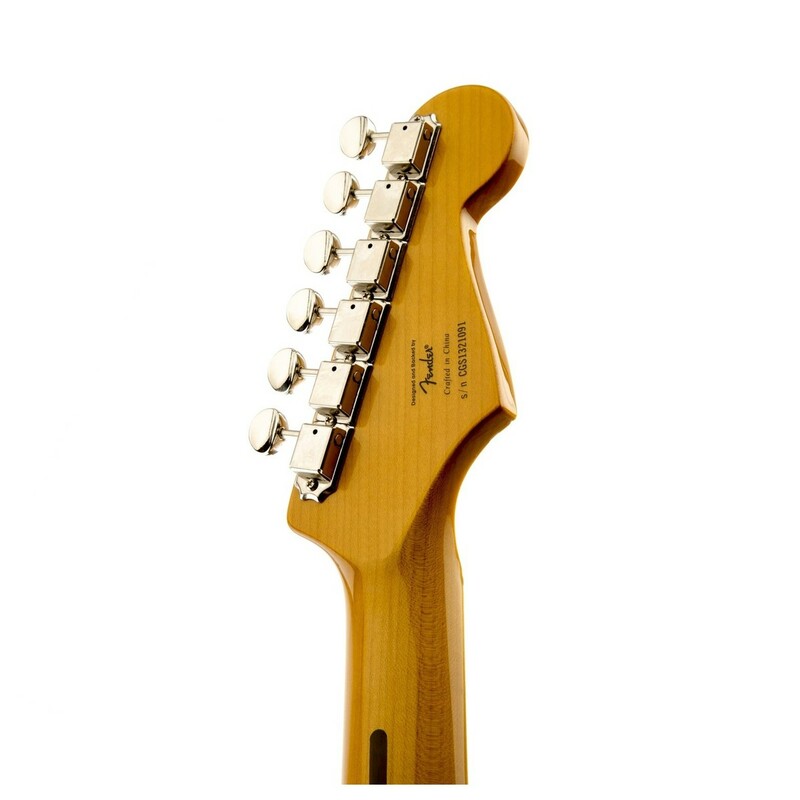 The Squier Stratocaster combines a vintage-tinted solid maple neck with a maple fingerboard for an incredibly smooth playing experience. 21 medium-jumbo frets and black dot position inlays complete the look of the neck, while the synthetic bone nut adds to the aesthetics while improving intonation. The headstock features chrome vintage-style machine heads to match the rest of the hardware, and is complimented perfectly by the aged white pickup covers, top hat controls, and white pickguard. 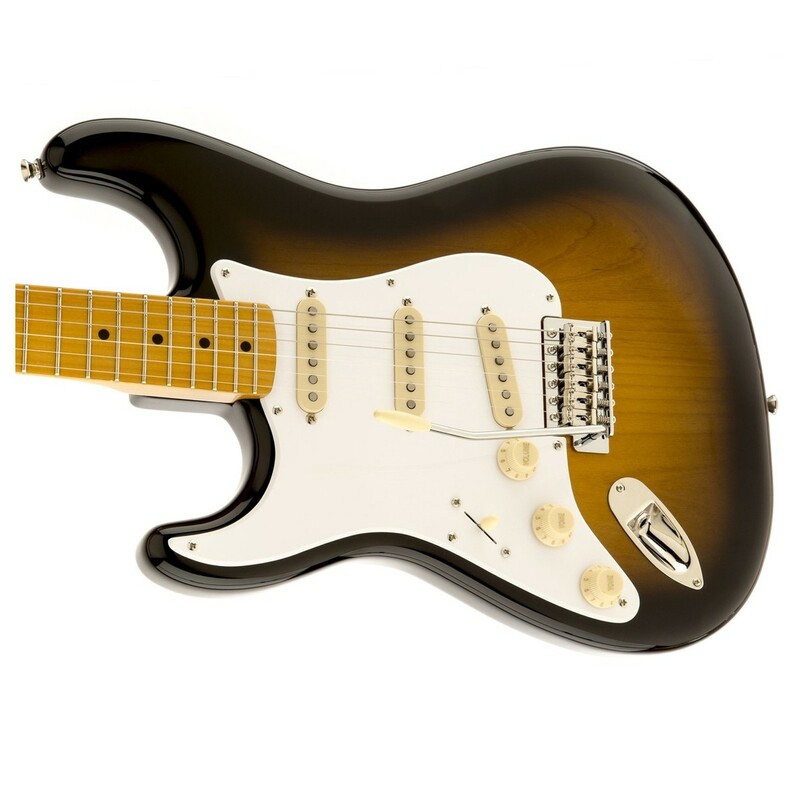 The classic Fender tones are provided by the custom set of vintage-style single-coil pickups, delivering the classic vibe strat with its clear and bright sound. The pickups offer a fantastic amount of sustain, even in crunch mode, while the custom staggered polepieces improves the string balance. There are 2 tone controls, master volume and a 5-way switch so you can get that perfect sound, whatever the style of music is that you play.